In front of an enthusiastic crowd at Chicago’s historic Soldier Field, the Illinois Lottery, along with Special Olympics Illinois and Special Children’s Charities, unveiled the newest version of The Special Olympics Ticket – a unique lottery instant game to benefit Special Olympics sports training programs across Illinois. The first-in-the-nation Special Olympics Ticket costs $3 and is expected to raise about $1 million to benefit programs that serve over 40,000 Special Olympics athletes in Illinois. The game also offers four top instant prizes of $50,000. All net proceeds, after prize payouts and expenses, benefit Special Olympics sports training programs statewide. The Special Olympics Ticket is available at close to 8,000 Illinois Lottery retailers throughout the state. 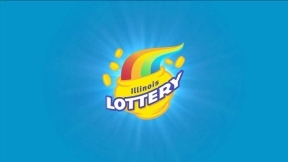 It joins the other four select special cause instant games currently offered by the Illinois Lottery. These specialty games contribute funding for Illinois veterans, the fight against breast cancer, assistance for people living with HIV/AIDS, and research efforts into the cause and cure of Multiple Sclerosis. 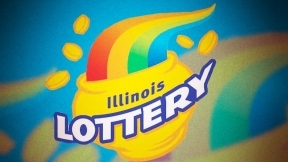 For more information on The Special Olympics Ticket game please visit IllinoisLottery.com.